Read the article in Al Jazeera. 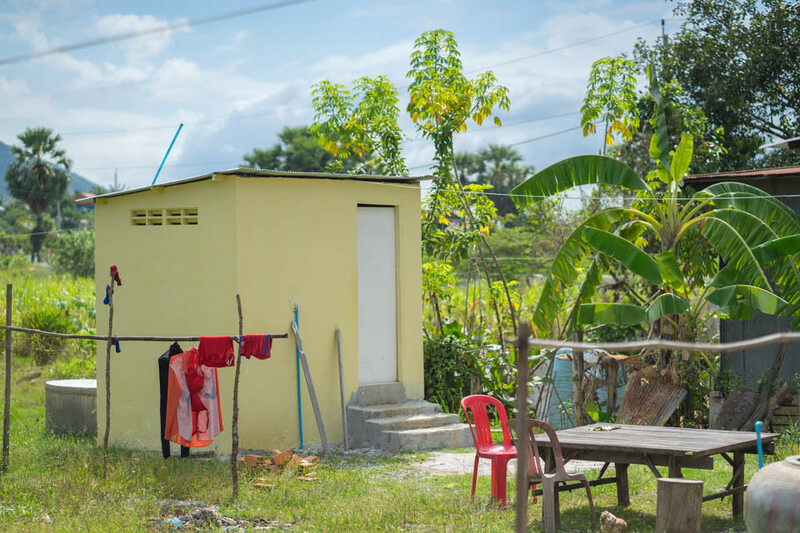 Cambodia has been badly affected by people going to the toilet in the open, but is also cited as one of the most successful in getting people to install and use toilets. The key to that success is a peer pressure strategy developed in Bangladesh by Dr Kamal Kar and adopted worldwide. “You are not allowed to defecate in the open by the community. Use your friend’s toilet or your relative’s toilet,” Dr Kar of CLTS Foundation tells a regional conference considering solutions in Cambodia’s capital Phnom Penh. 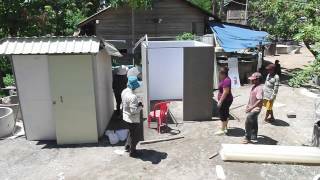 It seems to be working in Kampong Speu province as well where the NGO WaterSHED has organised a sales pitch for the toilet. Yim Khleung, who used to go into the field at the back of her house, now owns a toilet, and her friends want one too. “My neighbour says when her daughter sends her money the next time, she will buy one,” she says. Simple concrete pipes sunk into the ground, she got her toilet from contractor Phuy Seakphy, who started making them two years ago. “It’s good business. I’m now selling about 15 to 20 a month,” he says. A lack of toilets in rural Cambodia does significant harm to the development of children. It is estimated a third of under five-year-olds suffer from stunted growth. “When children are exposed to faeces in their environment, they repeatedly get bouts of diarrhea. So the good things that are going in are coming straight out,” says James Wicken, the country director of WaterAid Cambodia. The problem also affects women and girls as going out at night in remote areas carries with it the risk of attack.